For Outlook Online, log in at Office.com, select Mail, and open an email. Select the More Options icon ( ... ) then Show in Immersive Reader. Select Voice Speed, then drag the control to the right or left. Move to the right to increase speed or to the left to decrease it. Voice type controls the playback voice of the reader. 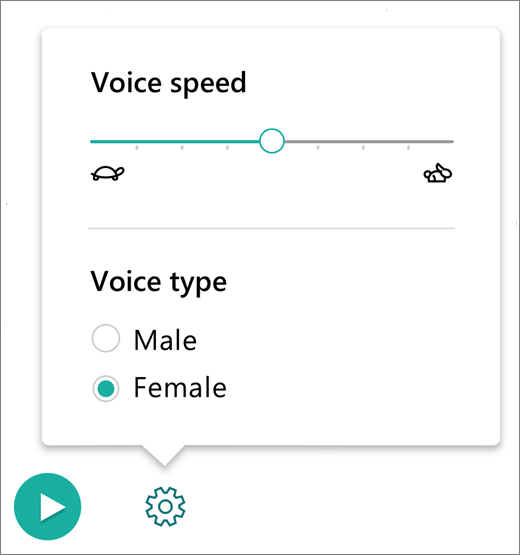 Select Male or Female to change which voice is used for playback. Press Play to hear the voice. Select Voice Options. The icon looks like a speaker with sound waves. 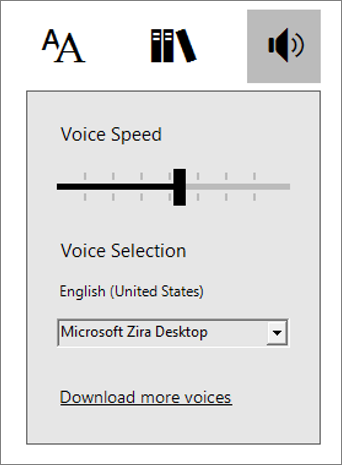 Select Voice Speed, and move it right or left to increase or decrease the rate at which the voice reads the text. Select Voice, then choose a voice from the list. Press Play to hear each voice. Select Download More Voices to make more voices and languages available to read the text.